Pest Inspection in Omaha Required! | Pest Control Omaha - Exterminator | Omaha Pest Control, Inc.
Pest Inspection in Omaha Required! Omaha Pest Control, Inc. in Omaha, Nebraska is a local specialist providing wood-destroying and termite inspections for refinancing of a mortgage or purchase of a house or commercial structure. Termites and what the VA labels “wood-destroying pests” can be a serious problem for home owners, buyers and sellers. House hunters often worry about the condition of older homes when it comes to these pests–in some cases rightfully so. How can an untrained observer tell whether or not a home has been damaged or infested by termites or other pests? Call us at (402) 250-0425 with any questions. According to Omaha Pest Control, it’s very difficult to spot unless there’s obvious damage or infestation. Fortunately, FHA and VA loan rules are designed to protect the buyer and the property the VA borrower wants to purchase. If a borrower wants to buy a home in a region where termite problems are considered light or where such problems rarely occur, there is no requirement to have a termite inspection performed. Borrowers concerned about the home they want to buy would have to schedule an inspection, or contact the VA for assistance. Borrowers with general concerns about termite problems–but with no evidence of damage or infestation–may need to arrange an inspection themselves. Who Orders The VA Pest Inspection? Anyone can order the pest inspection really. If you want to take it upon yourself to speed up the process, you can order it. However, the termite inspector will want to be paid. In general, this payment is done in advance. So, unless the realtor, lender or seller wants to give up their credit card number, you should leave it to one of them to order the inspection. The sellers order it since they are the ones that are required to have one in order to sell a home to a veteran doing VA financing. Who Is Responsible For The Termite Inspection? VA guidelines state that the Veteran is not responsible for pest inspections and is NOT to be charged for the pest inspection when purchasing a home. Who does? Answer: Anyone but the veteran. The realtor or lender can pay for it but primarily, the seller is responsible for paying for the pest inspection. There are non-allowable fees that the veteran can pay for in certain situations but this is not one of them. The pest inspector looks at accessible areas of the house for signs of termite infestation. This includes attics and crawlspaces. Signs of pest infestation would include shelter tubes, exit holes and staining. He or she will also look for damaged wood and other materials. Along with current damage, Omaha Pest Control has to report if the home owner has had any prior pest treatments. Certain states actually require that the seller disclose any measures they took to rid the home of the termites. What Happens If The House Has Termites Or Carpenter Ants? The answer to this depends greatly on how bad the infestation is. 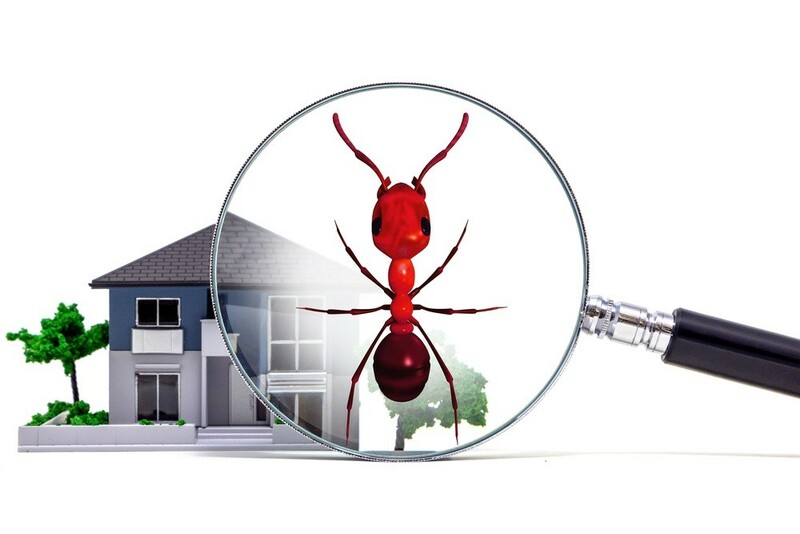 In general, if our inspector finds that the home is infested, or still has significant evidence of a previous infestation, he/she will simply recommend that the home owner treat the home to eliminate the pests. Once the structure is treated, the report needs to be sent to the lender reflecting the house has been treated for termites. Who Pays For The Treatment If The House Is Infested? This will depend greatly on the location of the home and what your contract says. Anyone can pay for the treatment. However, there are certain states that require the seller pay for repairs up to a certain limit. These repairs can include termite, septic or well repairs or treatments. If you are a seller with a VA buyer, it would be wise of you to get an inspection right away to speed up the process and eliminate any headaches later.